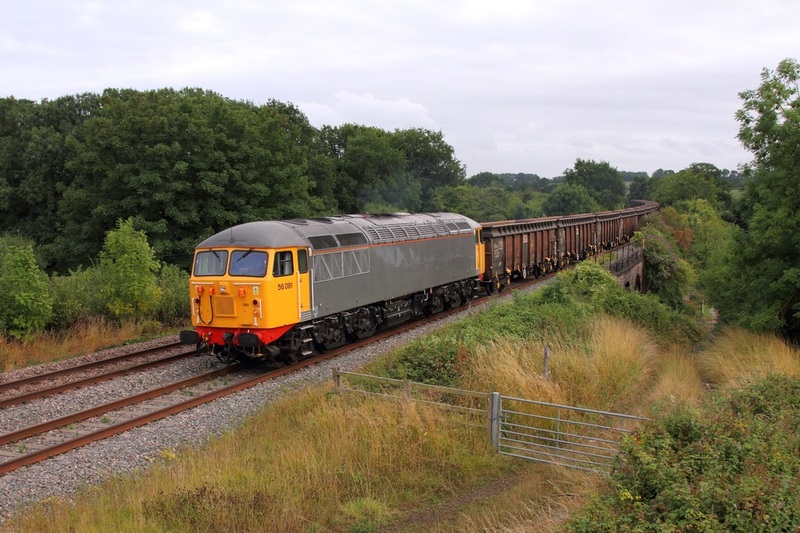 66846 on the 6M51 Exeter Riverside to Chirk at Undy on the 30th July 2015. 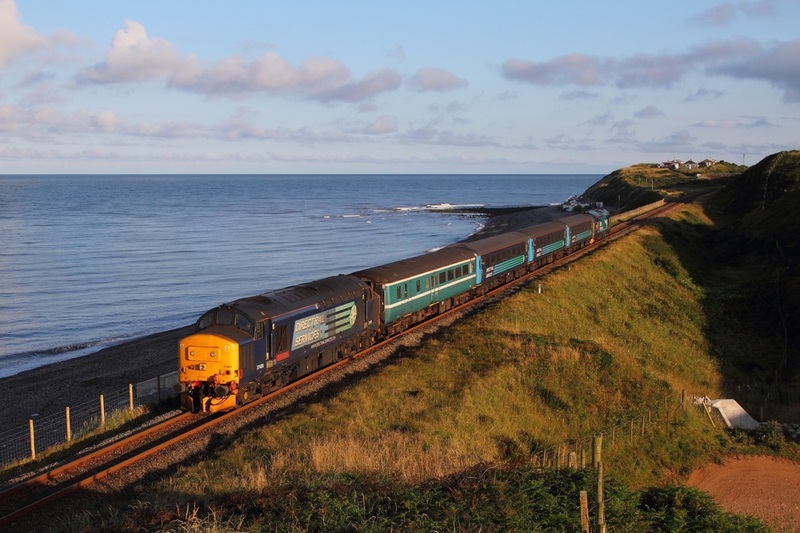 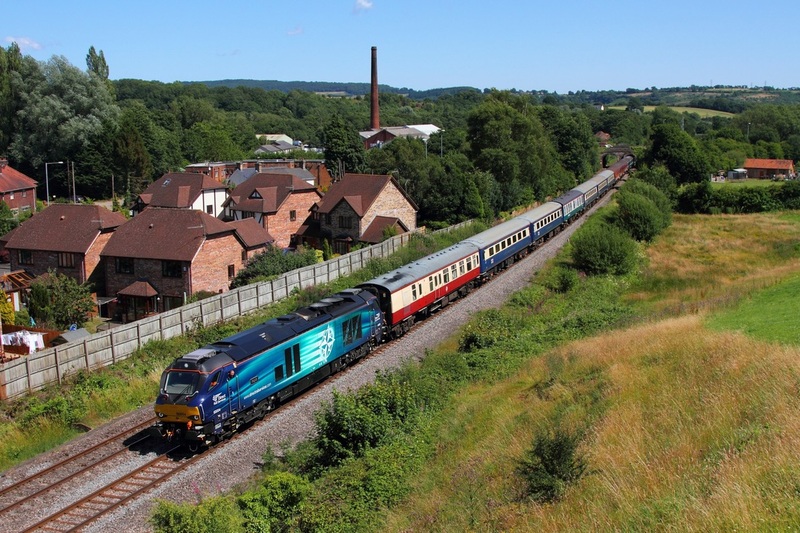 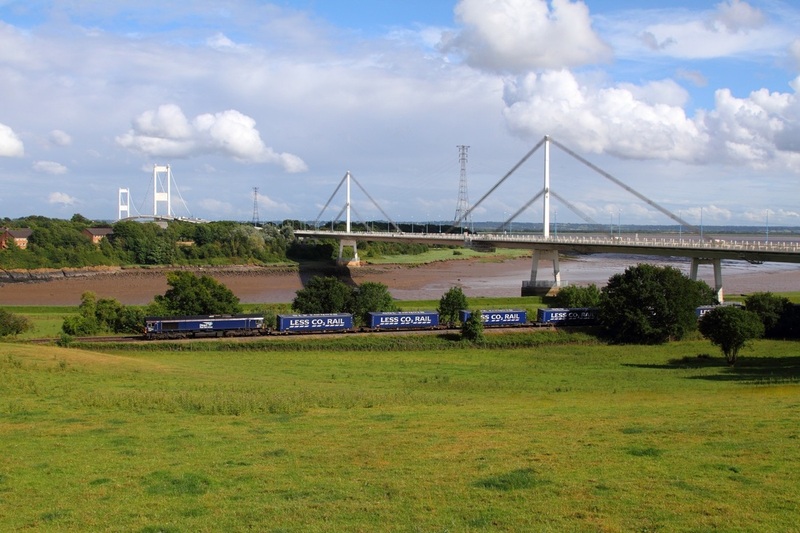 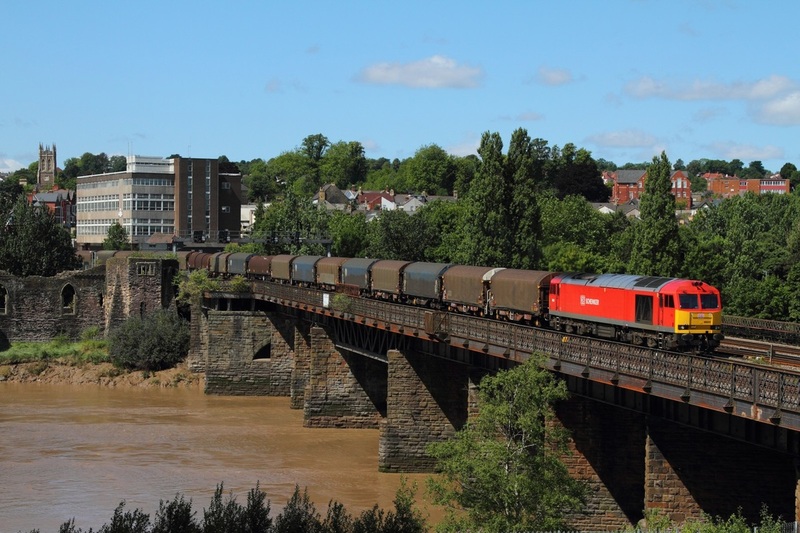 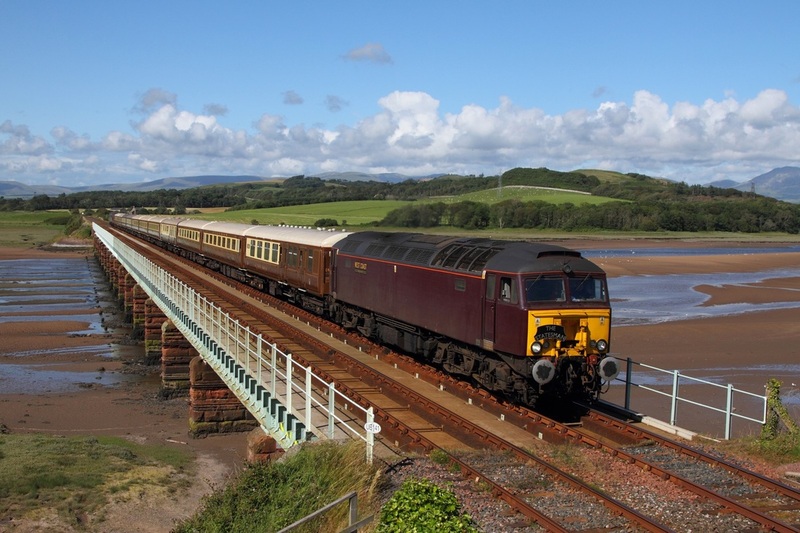 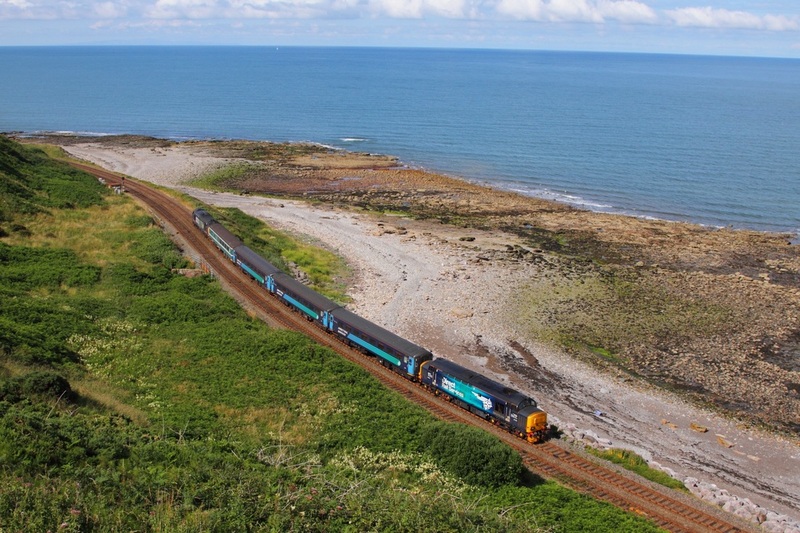 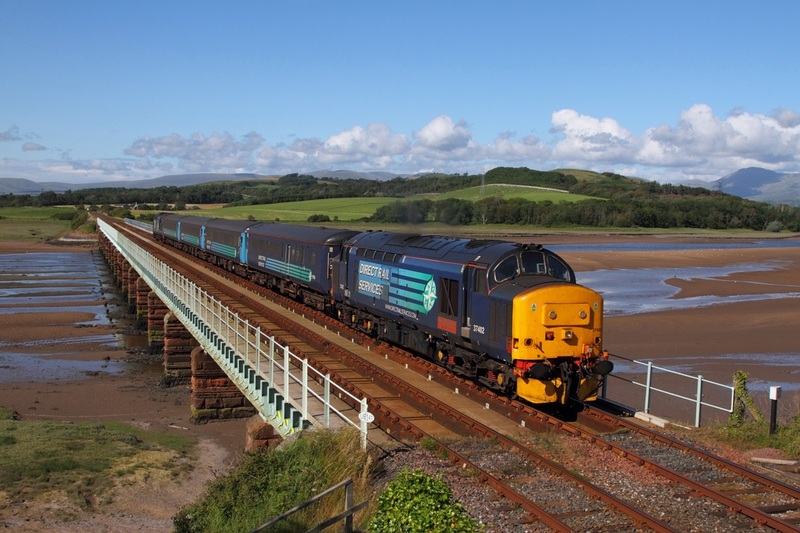 56081+17 JRAs on 6Z34 1818 Tidal to Stockton at Chepstow on the 29th July 2015. 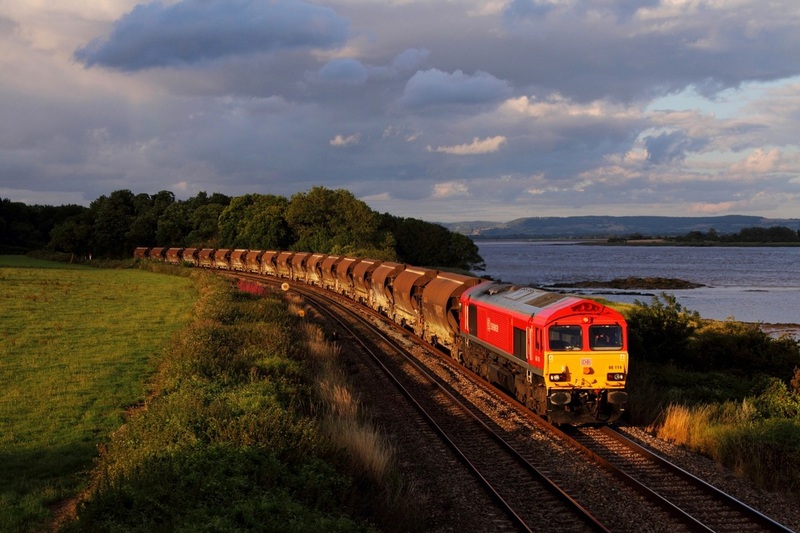 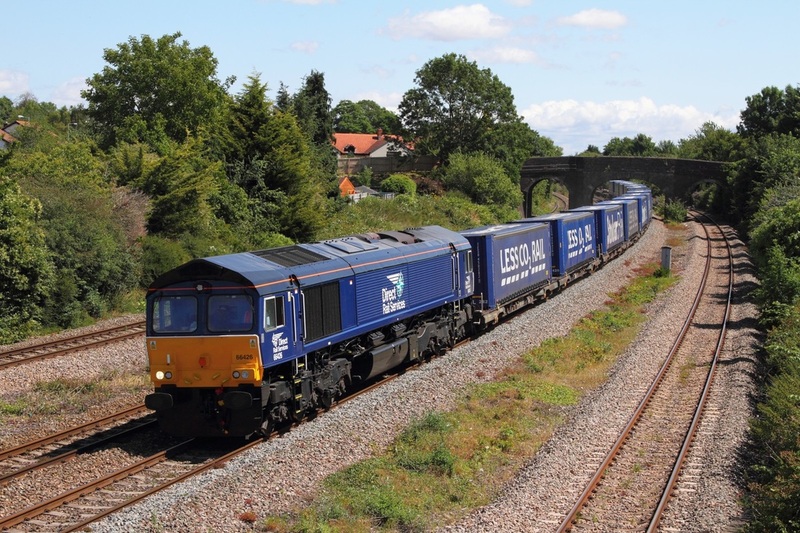 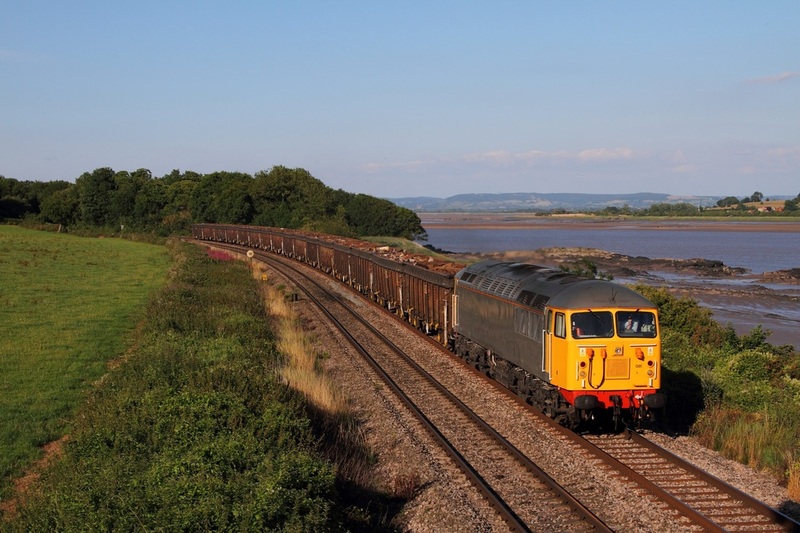 66114 hauls the 6V69 Bescot to Newport A.D.j at Purton on the 28th July 2015. 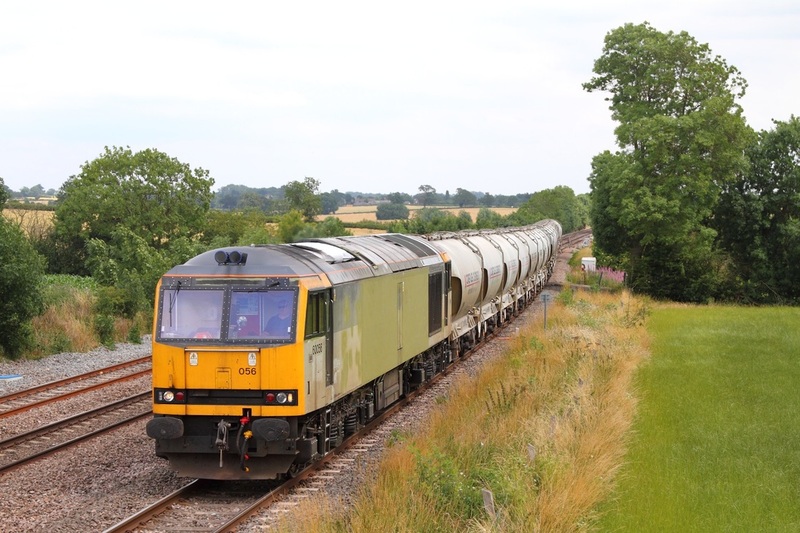 60020 on the 6B33 Theale to Robeston tanks at Chipping Sodbury on the 28th July 2015. 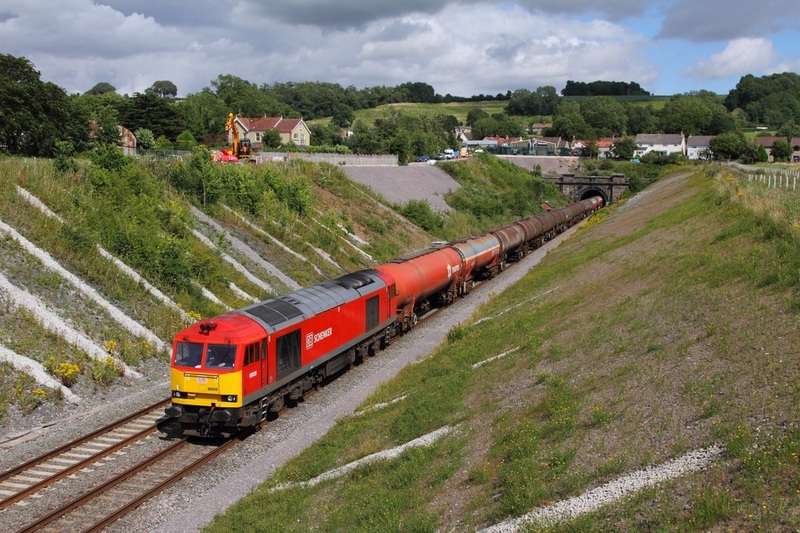 Drax Powered liveried 60066 hauls the 6B13 Robeston to Westerleigh loaded murco bogie tanks at Gatcombe on the 28th July 2015. 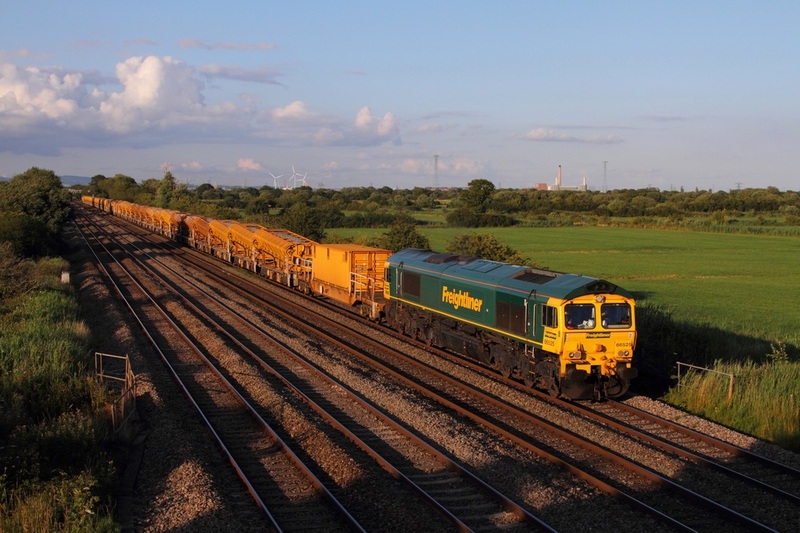 66749 on the 6Z45 1045 Cardiff Docks to Avonmouth at Undy on the 27th July 2015. 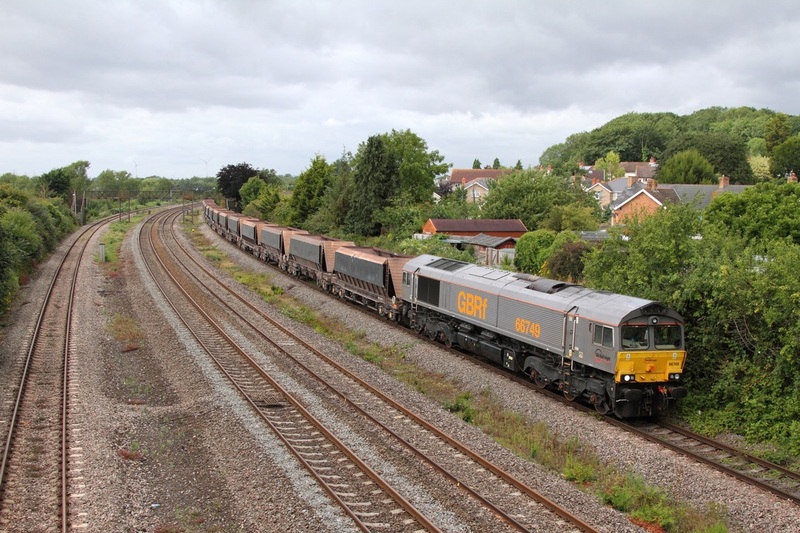 66087 leads 67014 on the 6Z47 Wembley to Cardiff Docks at Magor on the 23rd July 2015. 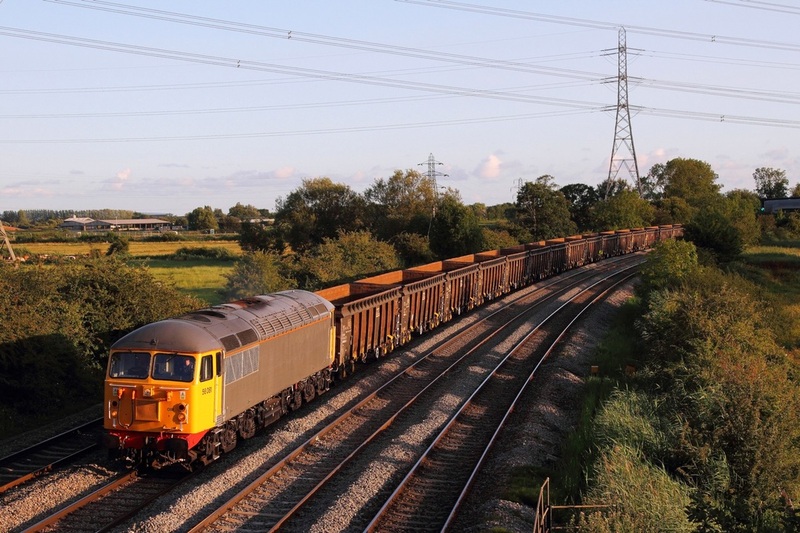 The skip would come off at Newport A.D.j. 56081 on the 6Z35 Cardiff Tidal to Chaddesden at Bullo Pill on the 26th July 2015. 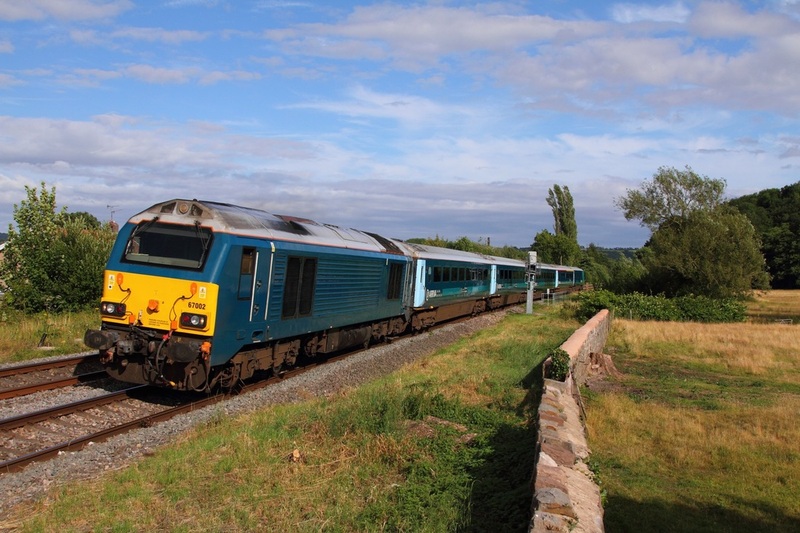 56081 on the 6Z34 Cardiff Tidal to Stockton at Duffryn on the 22nd July 2015. 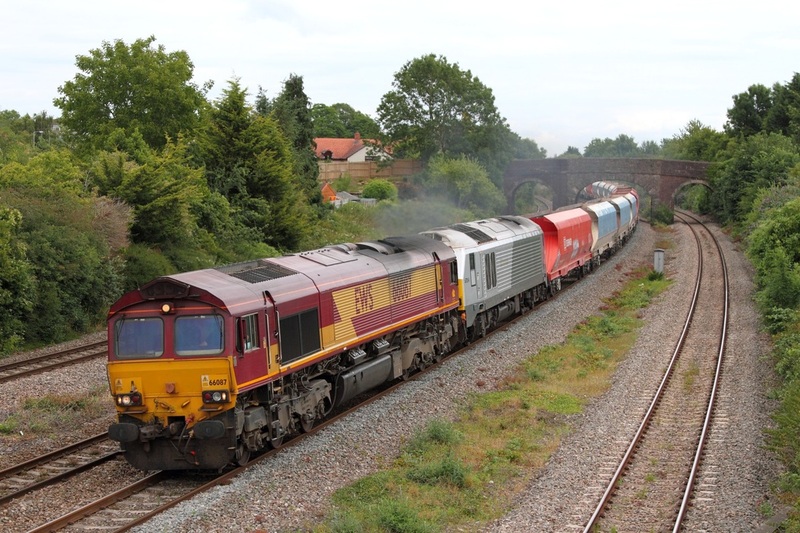 66525 tnt 66599 on the 6Z19 Fairwater yard to Llanharan at Coedkernew on the 22nd July 2015. 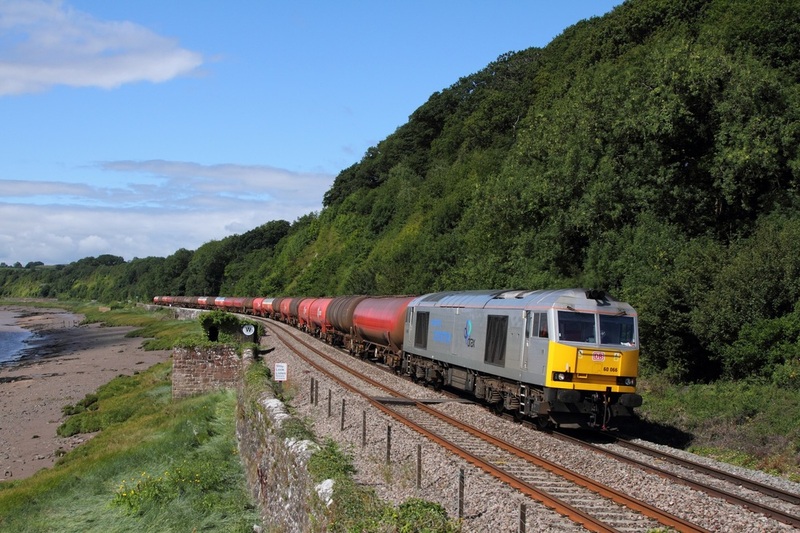 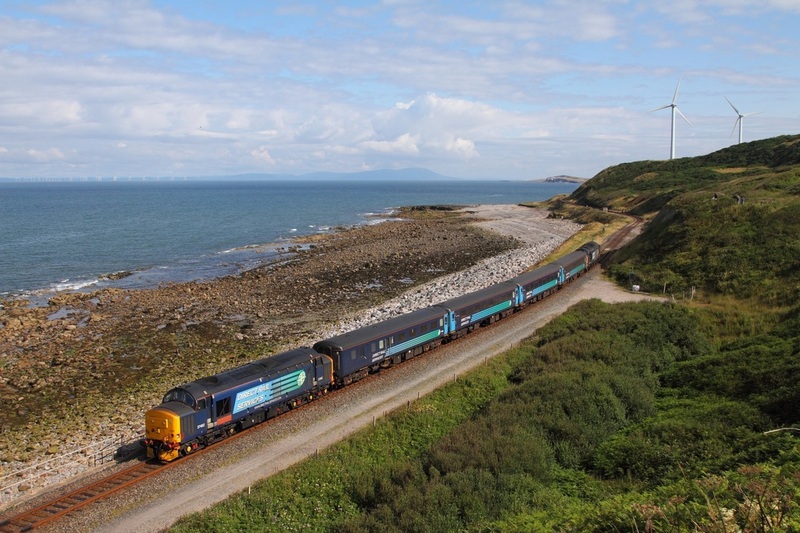 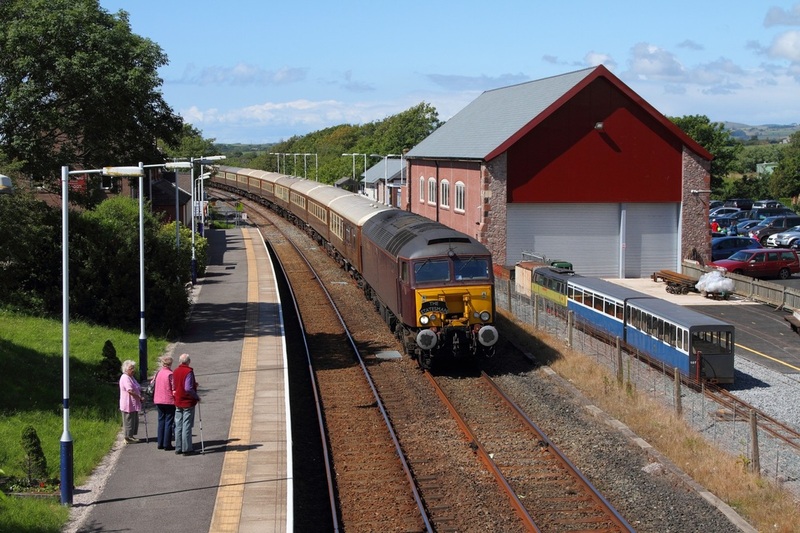 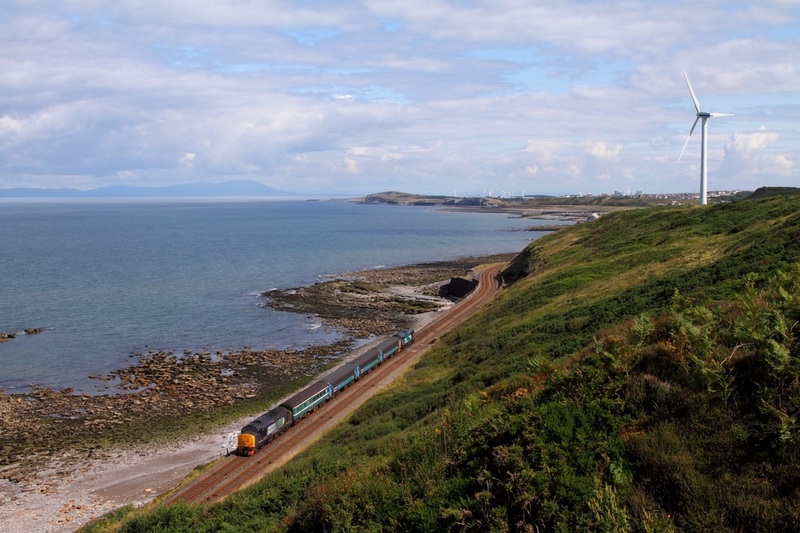 67002 hauls the 1W96 Cardiff Central to Holyhead at Ponthir on the 21st July 2015. 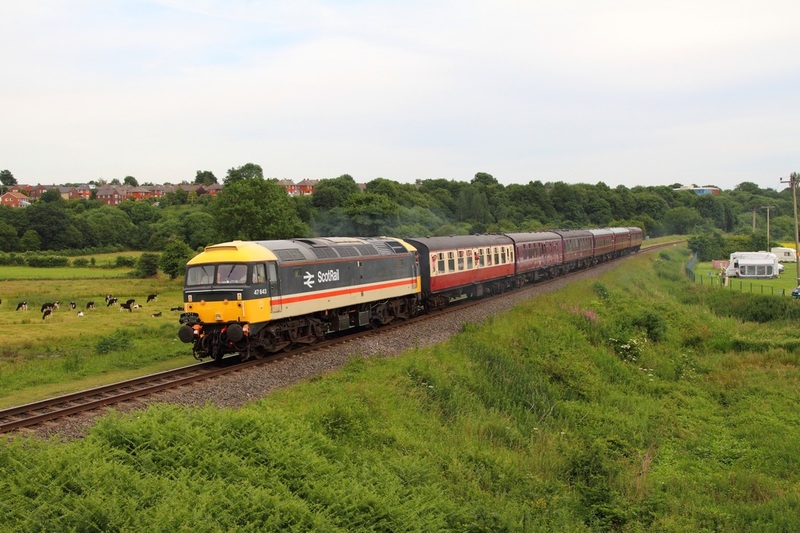 68004 hurries through Ponthir working the 5Z71 Newport A.D.j to Crewe CS on the 19th July 2015. 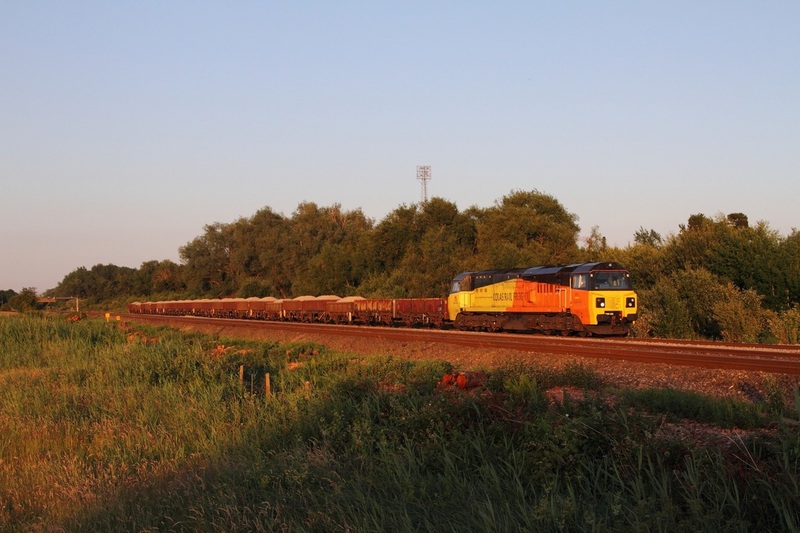 As part of Colas Rail's recently acquired tug testing programme, 60056 in patched up two tone grey ready for a repaint into the house colours worked the 6F93 St Pancras to Ketton captured here at Kilby bridge on the 16th July 2015. 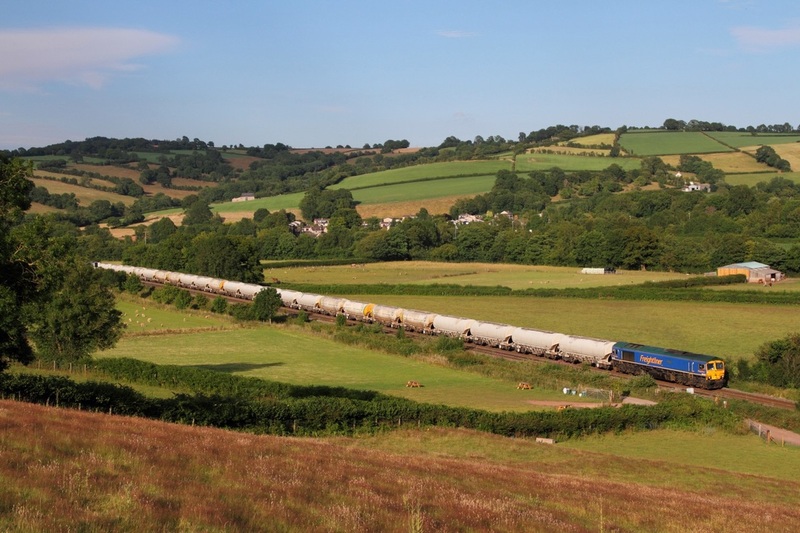 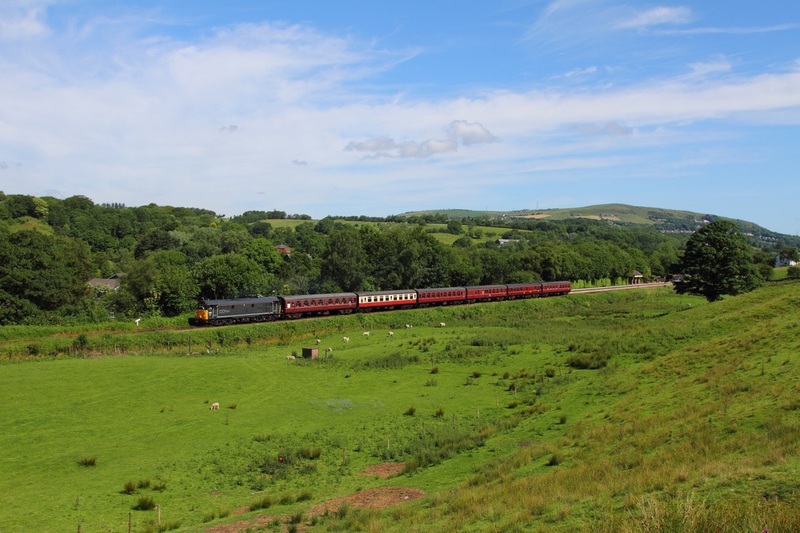 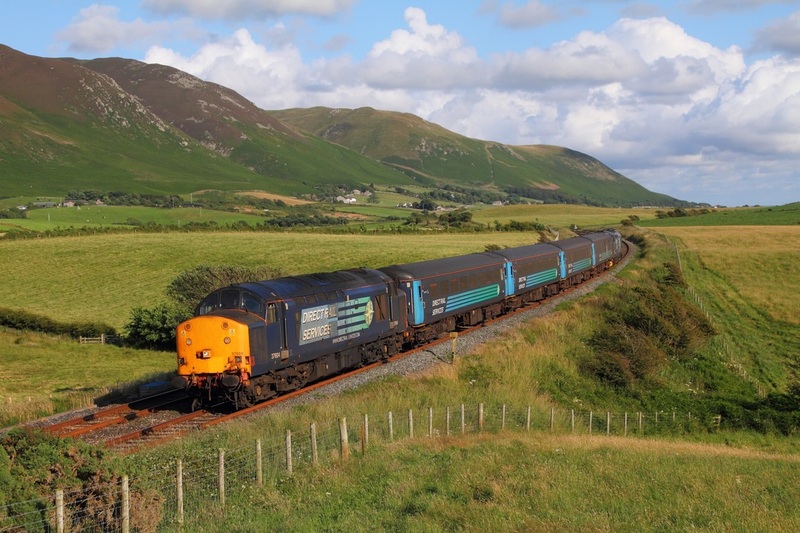 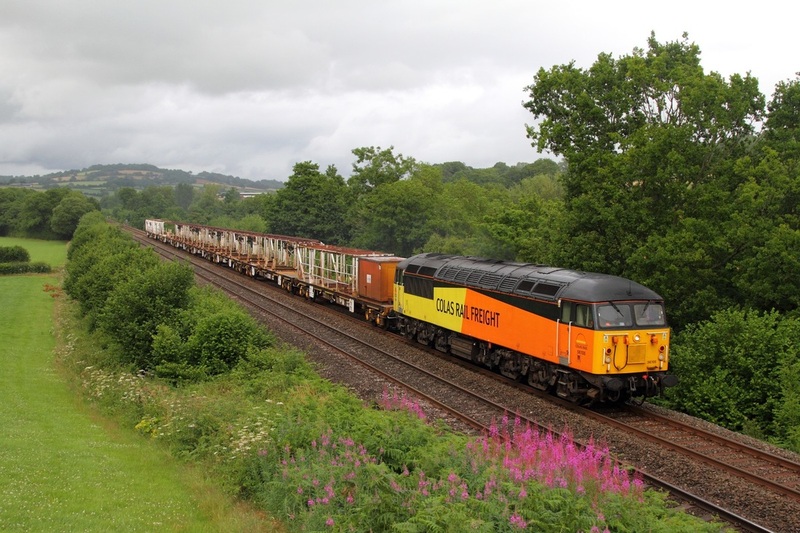 Colas Rail 56105 leads the 6Z45 Donnington to Cardiff Canton at Llanvihangel near Abergavenny on the 14th July 2015. 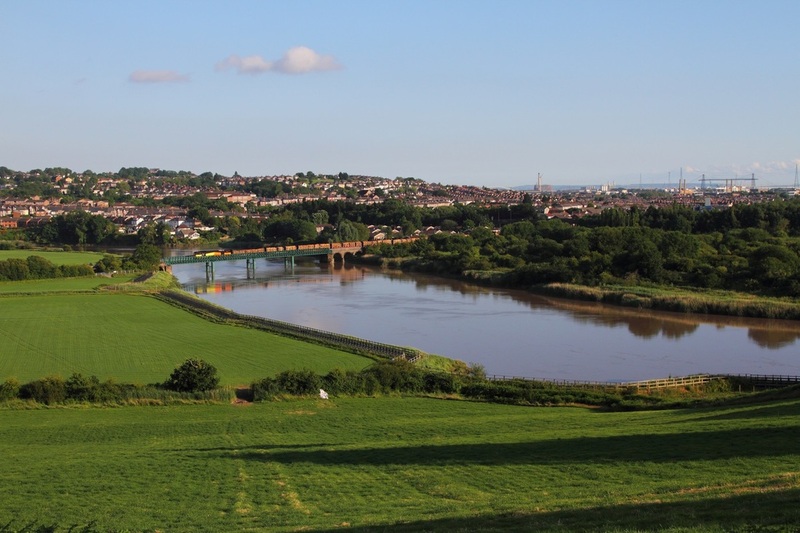 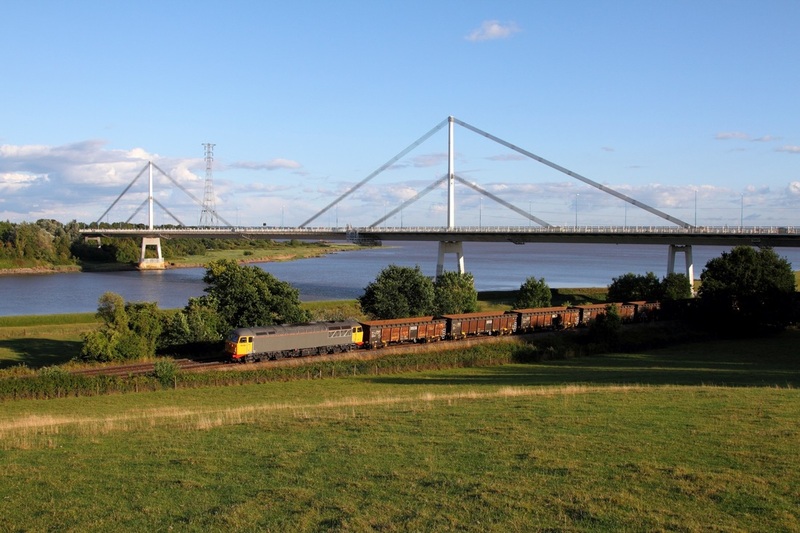 DRS (new version) liveried 66434 powers the 4M36 Wentloog to Daventry under the M48 Severn Bridge on the 5th July 2015. 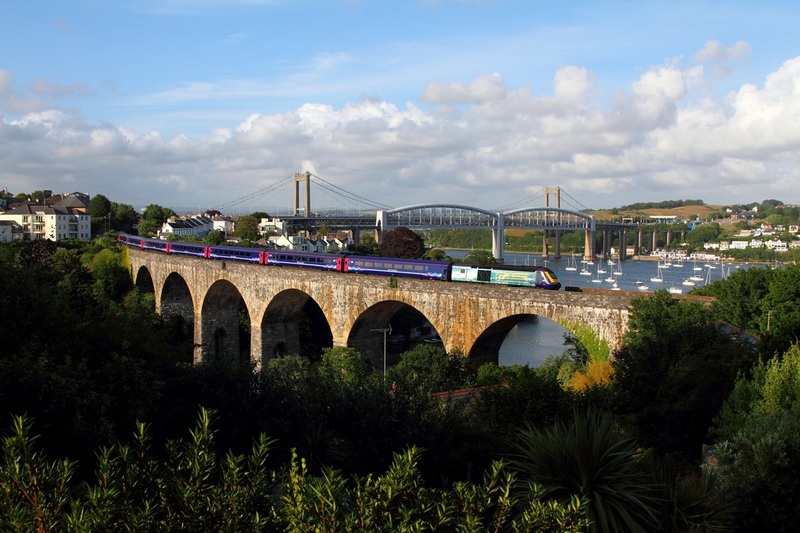 With Isambard Kingdom Brunel's Tamar bridge providing the backdrop, First Great Western's on-hire DRS 57303 crosses Coombe viaduct, Saltash working the 2C51 1750 Exeter St Davids to Penzance on the 4th July 2015. 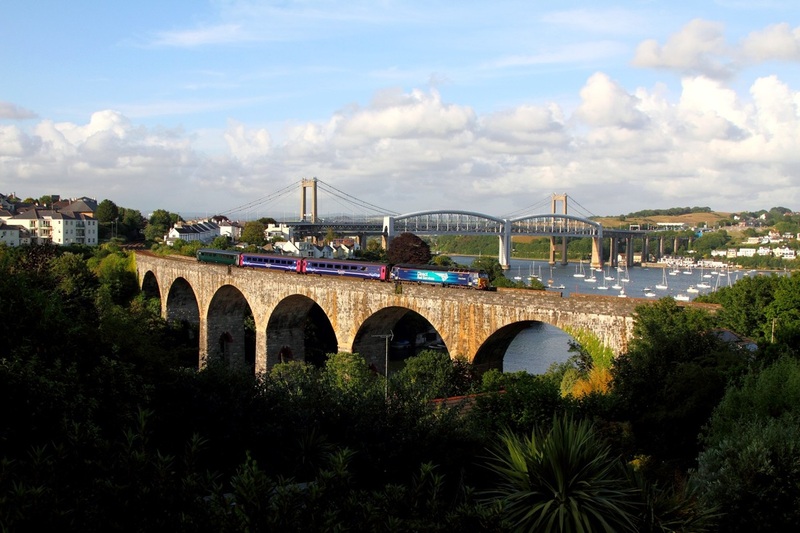 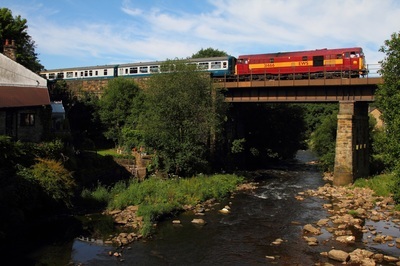 Advertising liveried 43146 with train LA61 and 43142 powers the 1A97 17:26 Newquay to London Paddington at Coombe viaduct, Saltash on the 4th July 2015. 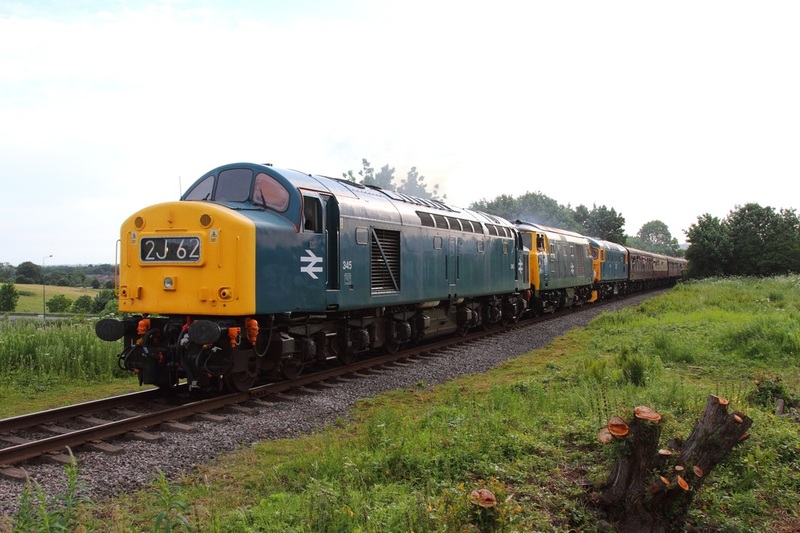 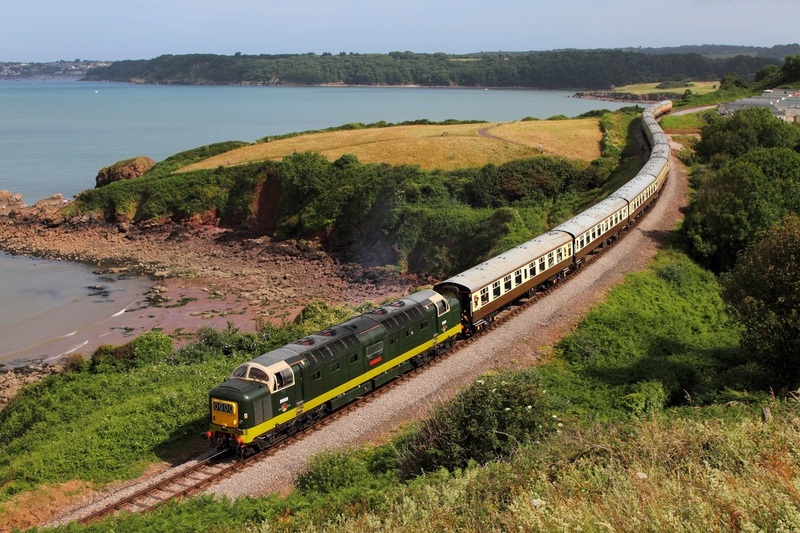 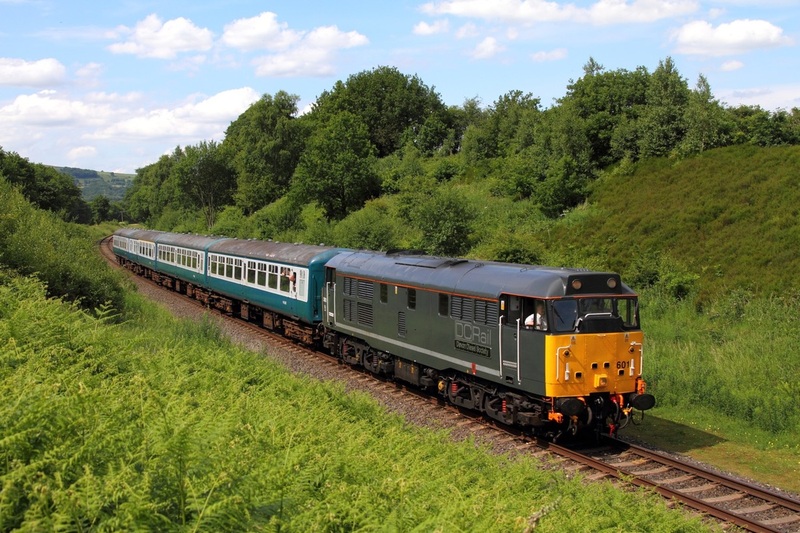 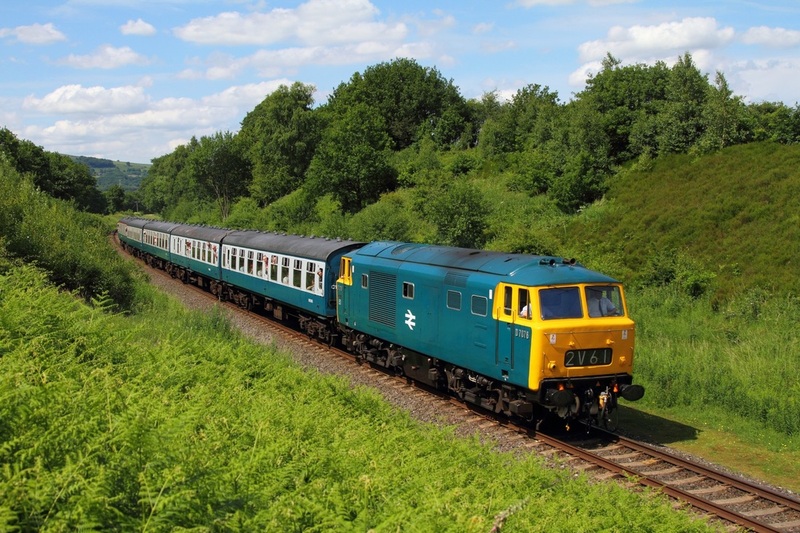 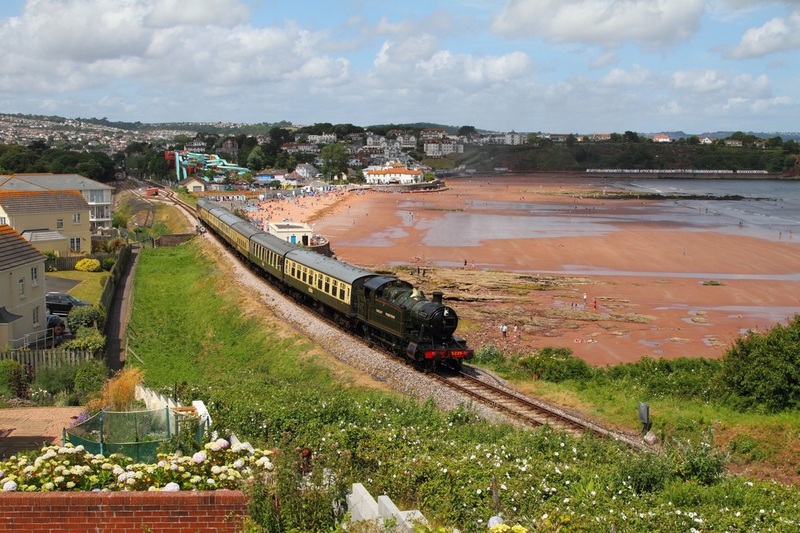 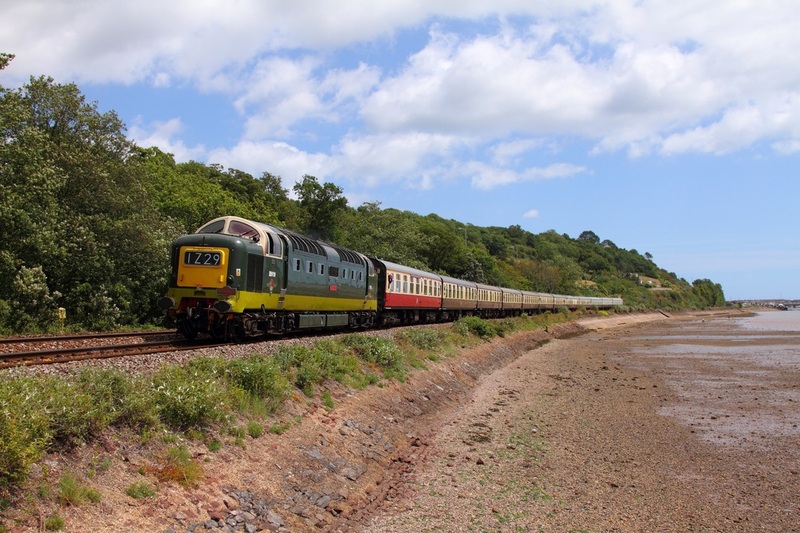 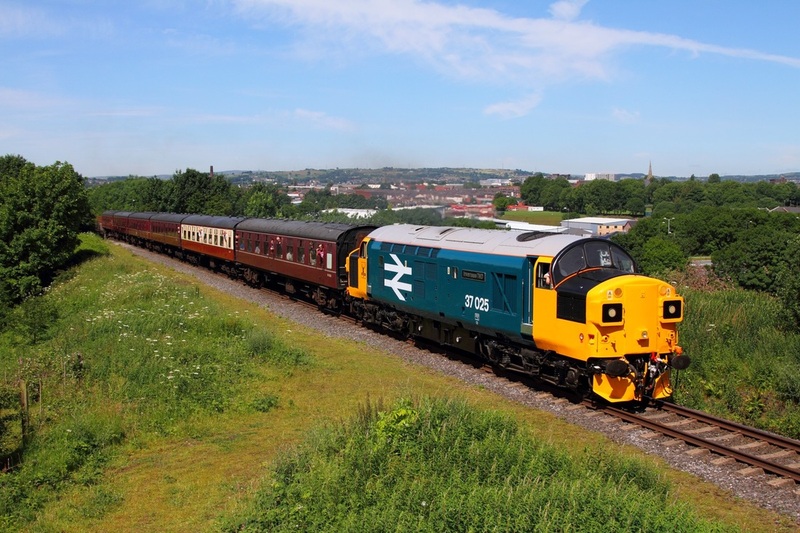 The Deltic Preservation Society's D9009 'Alycidon' powers the 1Z29 Derby to Kingswear Pathfinder railtour at Bishopsteignton south of Teignmouth on the 4th July 2015. 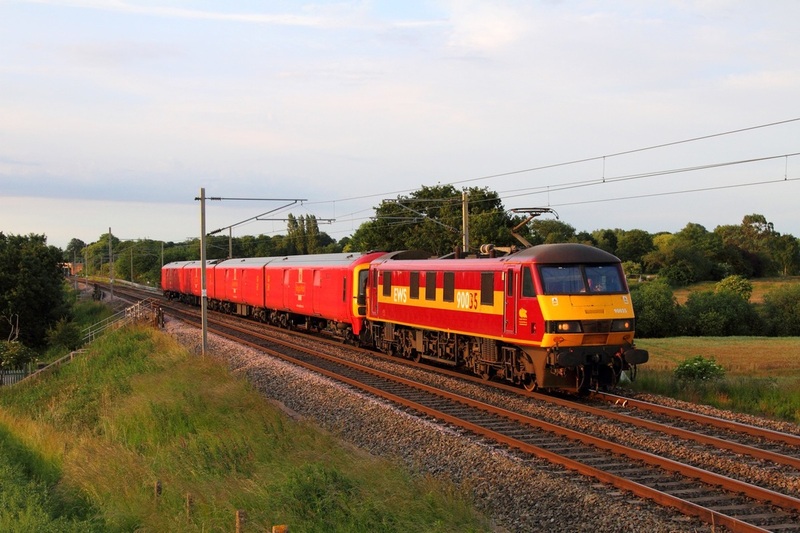 DB Schenker's EWS liveried 90035 passes Red Bank (Newton-le-Willows) on the 3rd July 2015 hauling 325004 as 1M03 Shieldmuir to Warrington. 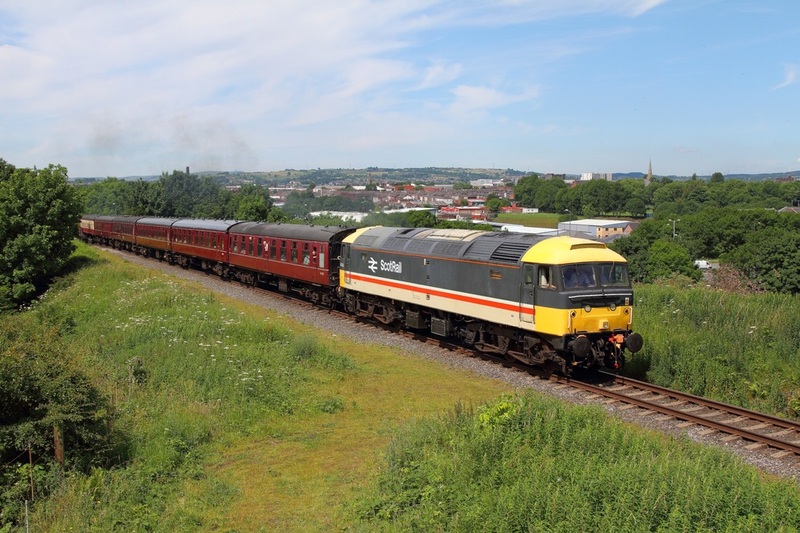 86612+86604 on the 4M74 Coatbridge to Crewe Basford Hall at Red Bank on the 3rd July 2015. 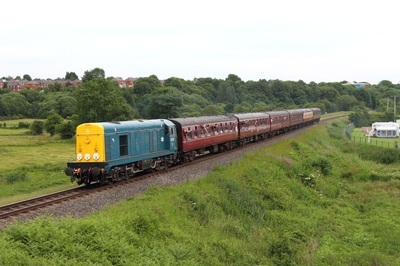 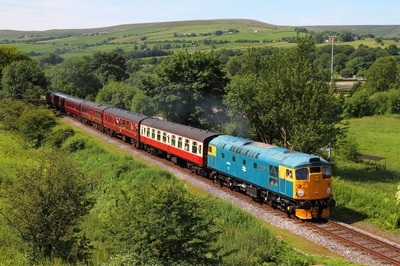 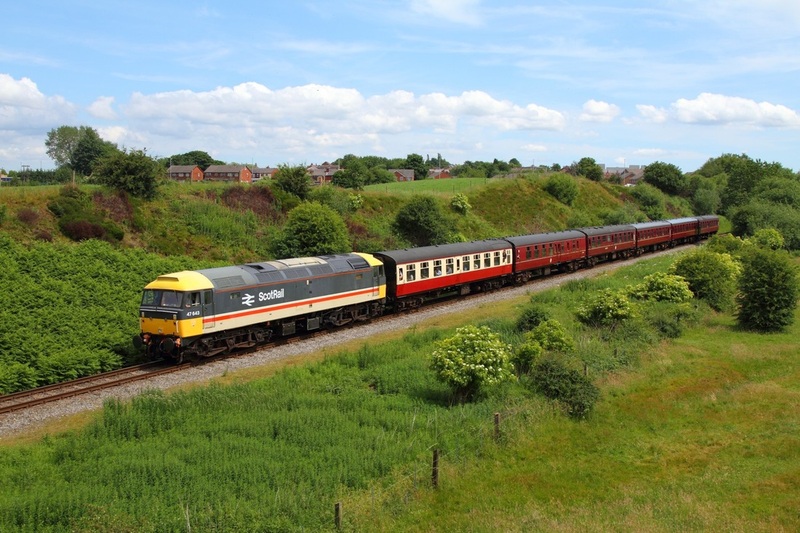 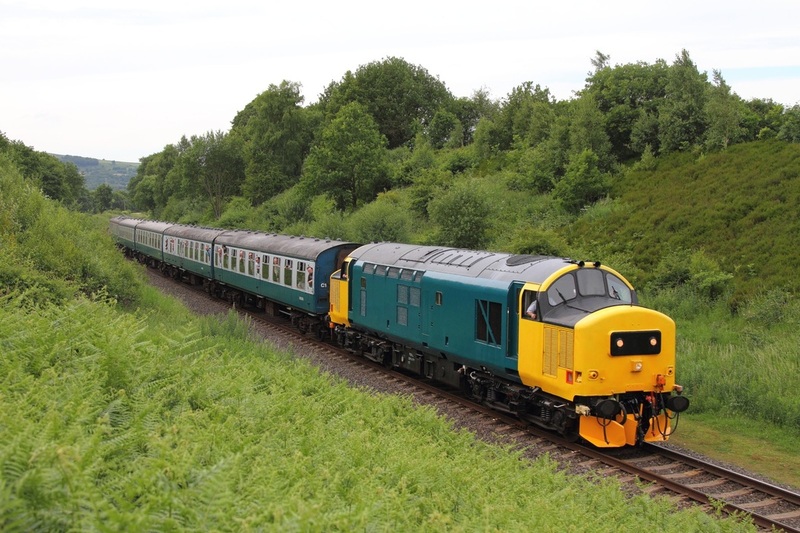 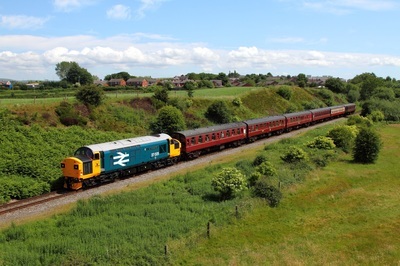 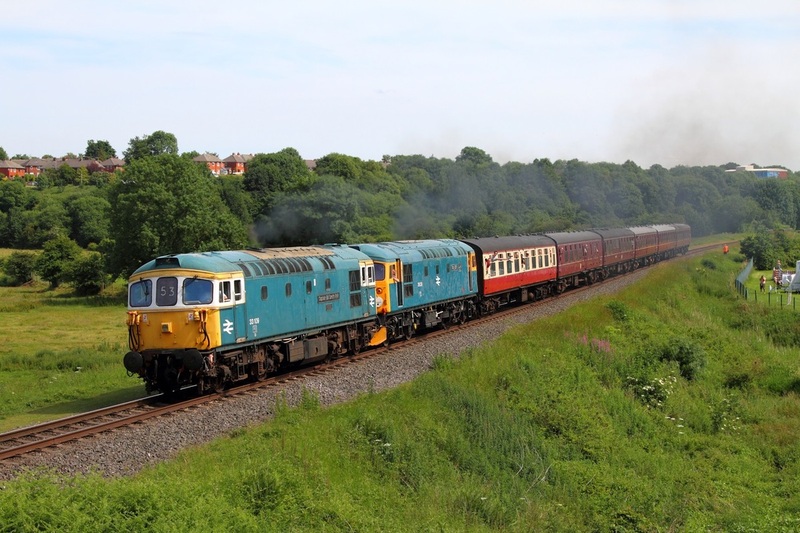 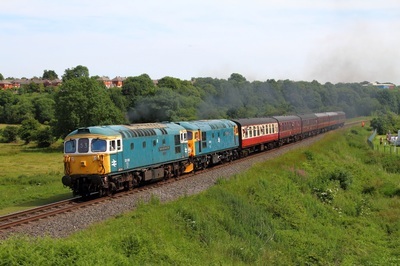 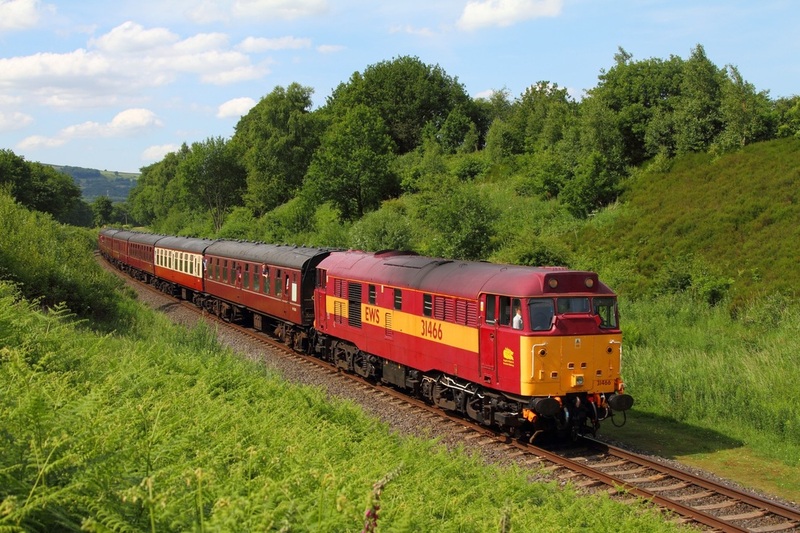 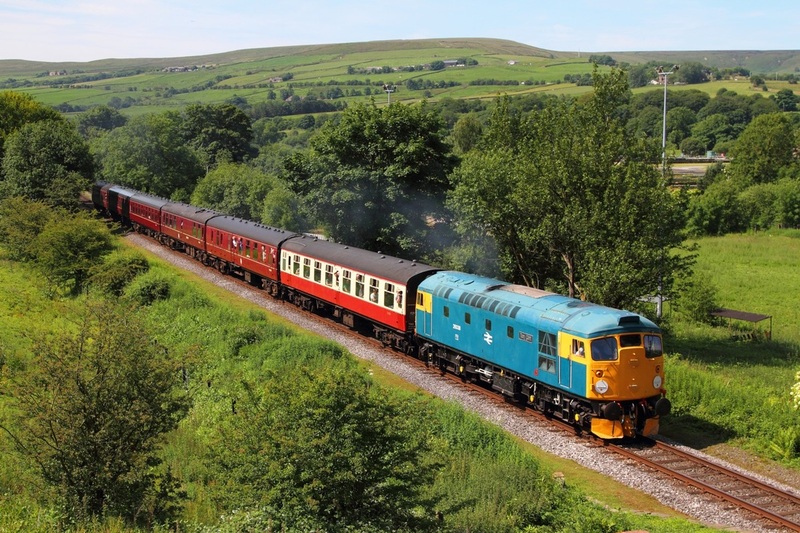 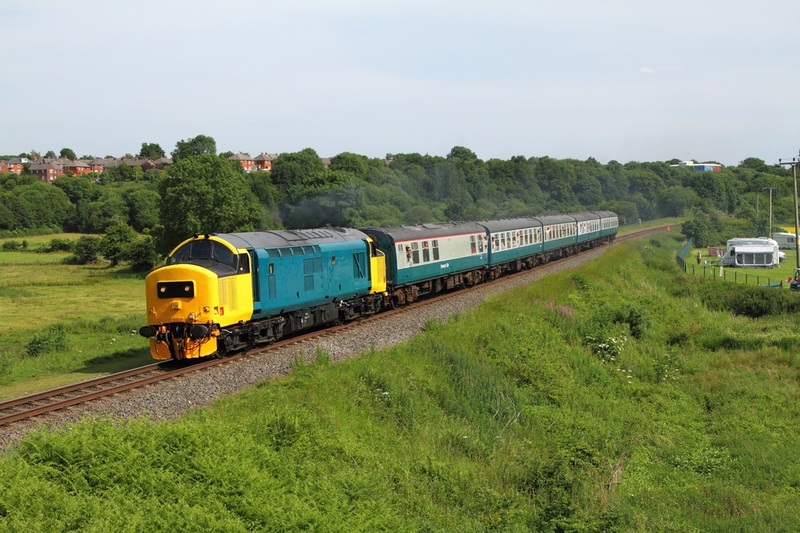 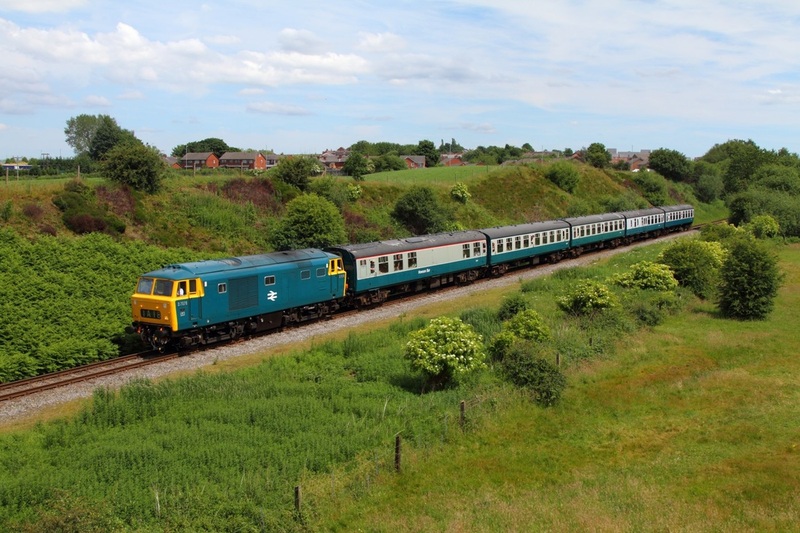 DC Rail liveried 31601 works the 2J53 0929 Heywood to Bury at Irwell Vale on the 3rd July 2015. 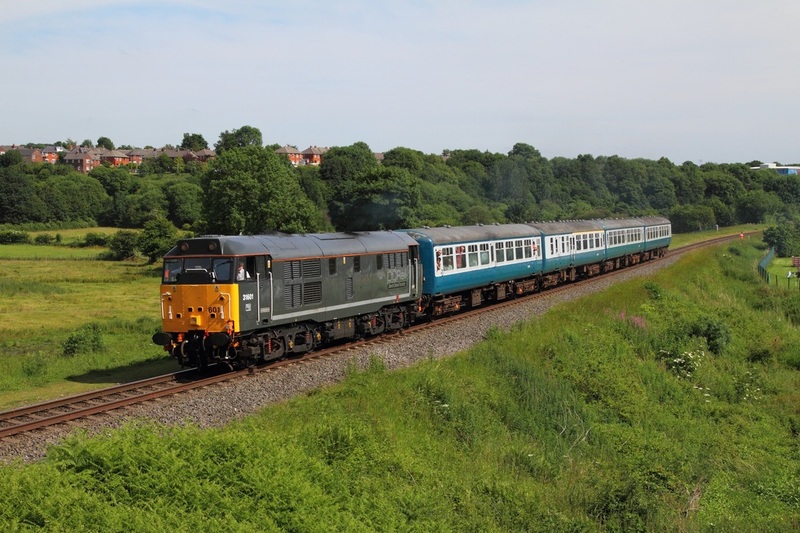 DC Rail livered 31601 works the 2J58 1029 Rawtenstall to Heywood at Irwell Vale on the 3rd July 2015. 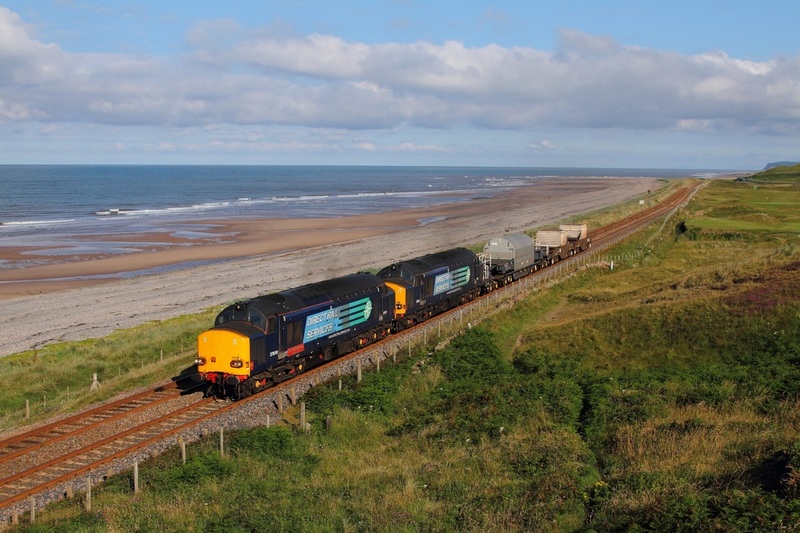 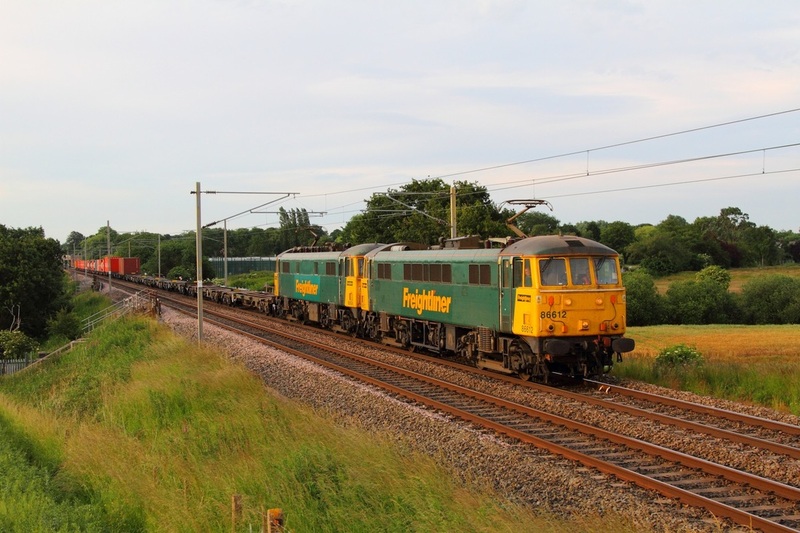 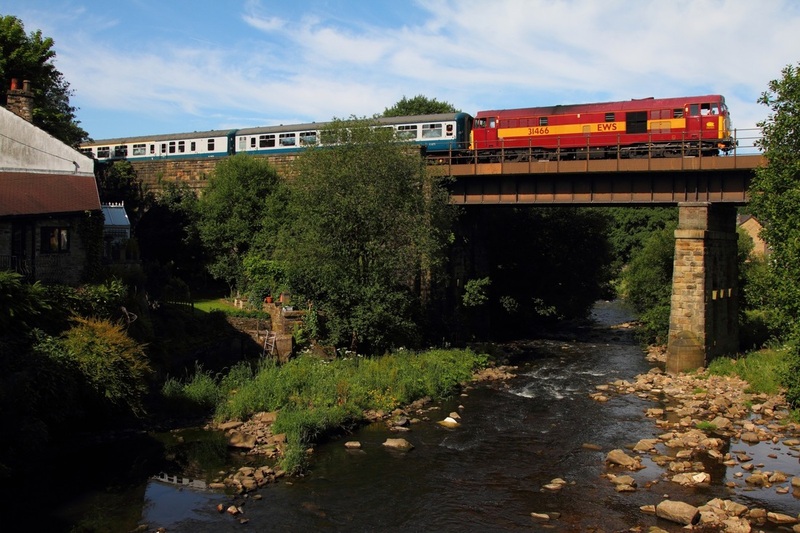 SRPS's Scotrail liveried 47643 powers the 2J60 1206 Bury to Heywood at Heap bridge on the 3rd July 2015. 37025 on the 2J58 1120 Bury to Heywood at Heap bridge on the 3rd July 2015. 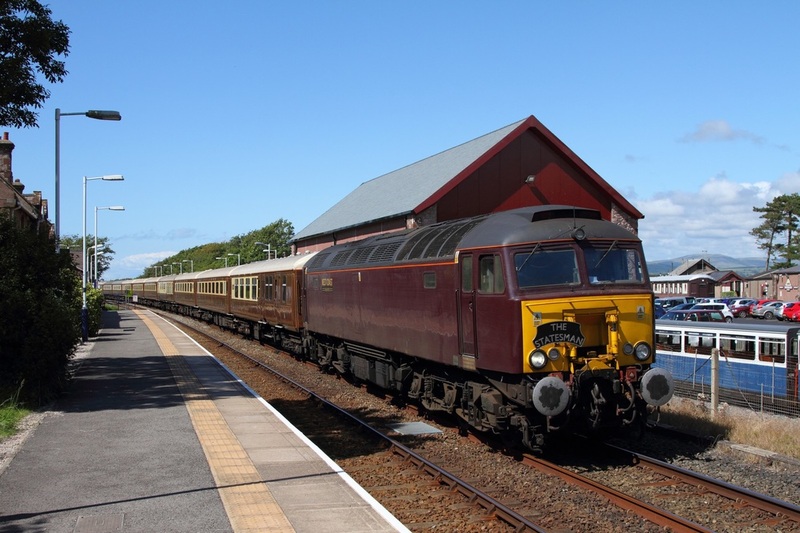 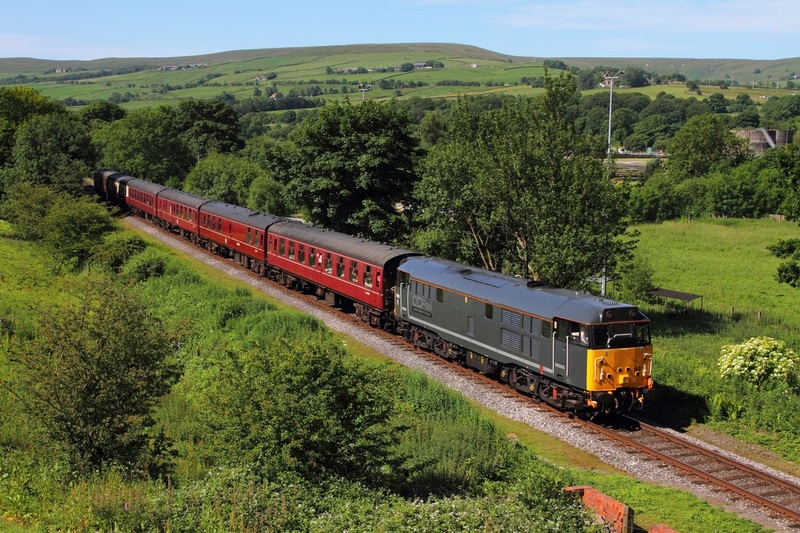 37418 on the 2J69 1537 Heywood to Rawtenstall at Burrs on the 3rd July 2015. 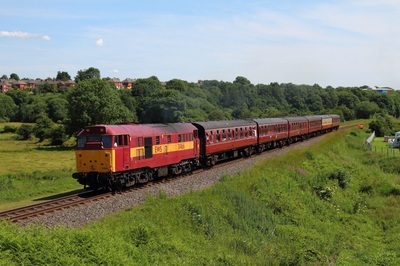 EWS liveried 31466 on the 2J70 1505 Rawtenstall at Heywood at Burrs on the 3rd July 2015. 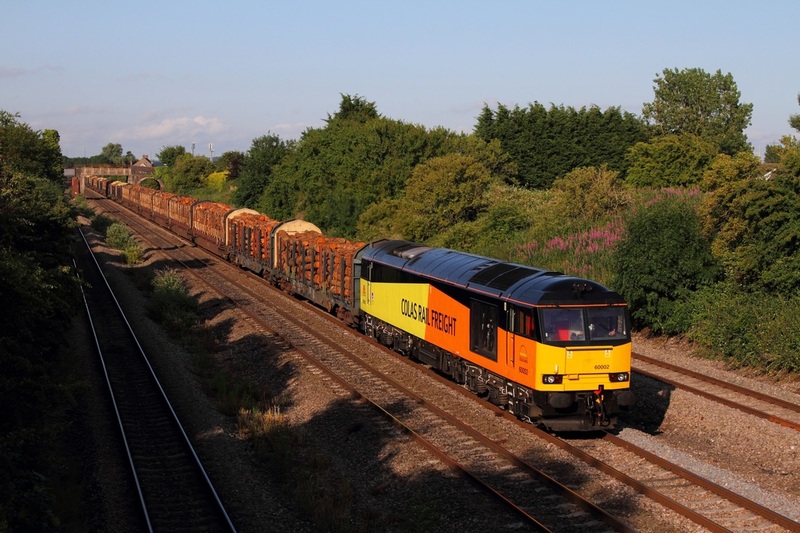 60002 powers the 6M51 Exeter Riverside yard to Chirk loaded timber at Undy on the 2nd July 2015. 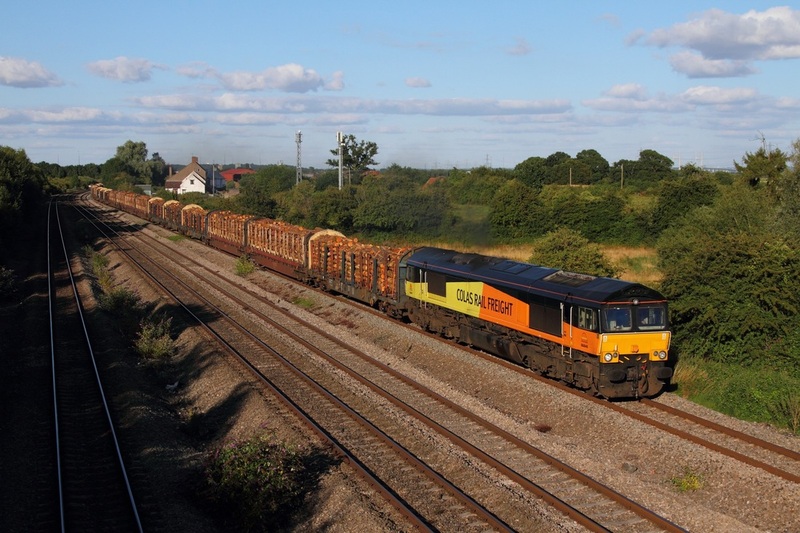 Colas Rail's 60002 hauls thew 6M51 Exeter Riverside to Chirk logs over St Julians bridge east of Newport on the 2nd July 2015.